Chairing the Security Council is a somewhat more interactive role. The 15 members convene around a horseshoe-shaped table to address threats to international peace and safety, with the president generally formally calling on U.N. officials and some other council members before making his or her own statement. The group’s work tends toward calibrated language, careful maneuvering and meticulously curated consensus, though meetings have become more acrimonious in recent years. Certainly, the council isn’t always harmonious. There can be stinging remarks and symbolic walkouts, not to mention vetoes (the U.S. and Russia have both exercised theirs this year). But disagreement is generally done with a certain decorum. 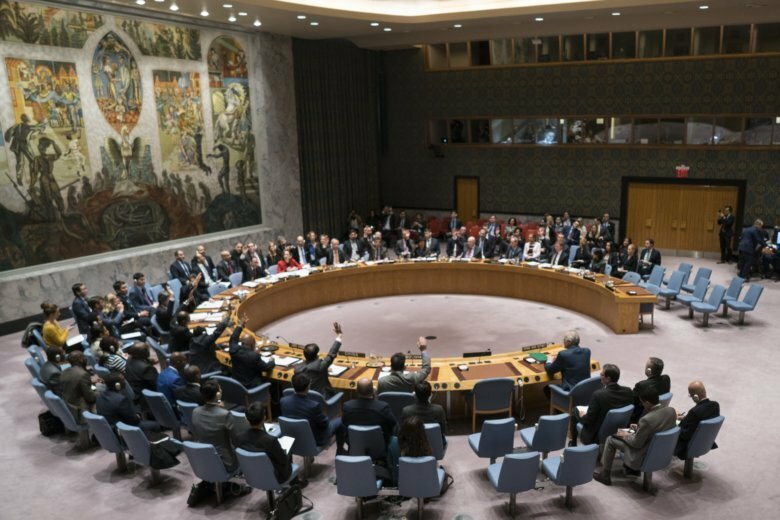 There’s good reason why Security Council diplomats are, well, diplomatic, says Ian Johnstone, a former U.N. official who is now the interim dean of Tufts University’s Fletcher School of Law and Diplomacy. “If it ends up being just an opportunity for scoring political points against your adversaries, it means that scores are going to be settled” and thwart agreement and action down the road, he says. “You don’t want to spoil the sort of diplomatic atmosphere by interrupting or condemning and walking out every time you open your mouth — because it means you’re really not going to get anything done,” Johnstone says. Trump left a lasting impression on the international community when he used his General Assembly speech last year to deride North Korean leader Kim Jong Un as “Rocket Man” and threatened to “totally destroy” his country. This time, Trump praised Kim’s “courage” in their countries’ ongoing nuclear negotiations. Instead, Trump singled out Iran as a “corrupt dictatorship” that instigates “chaos, death and destruction.” Hours later, Trump’s national security adviser, John Bolton, warned in a speech in New York that there would be “hell to pay” if Iran crossed the U.S. or its allies. Iranian President Hassan Rouhani had strong words of his own at the General Assembly, accusing Washington of trying to overthrow his government and conducting an “economic war” against it. Trump pulled the U.S. out of the multinational 2015 nuclear deal with Iran, and Washington has since reinstated sanctions that were eased under the pact. And Wednesday’s Security Council meeting happens to be about … Iran. At least partially. Haley initially said the topic was “violations of international law and general instability Iran sows” in the Middle East. That brought complaints from Iran, and council member Russia said the spotlight should be on the nuclear deal and the U.S. withdrawal. The U.S. then broadened the subject to include the proliferation of weapons of mass destruction in general. Under the council’s complicated rules, the change also leaves less room for members to raise the Israeli-Palestinian issue and potentially criticize Washington’s policies, including moving the U.S. embassy to Jerusalem. But then Trump tweeted last week that he would “chair the United Nations Security Council meeting on Iran next week!” The exclamation point was his. It wasn’t clear whether any country beyond the 15 council nations would be given the floor. Iran isn’t a council member and is very unlikely to speak. But even if it did, Trump wouldn’t necessarily have to listen. In fact, he could step away at any time. Another U.S. official can take his seat at any point. And at that point, something like regular programming would resume.